Fatima Jichi speaks to Dr Gearóid Ó Cuinn, director of the Global Legal Action Network, the organisation that is challenging governments in Europe for their failure to adequately cut greenhouse emissions. Two out of three people in Europe will be affected by weather-related disasters by the end of the century, leading to as many as 250,000 deaths annually. These predictions come from the largest study to date on the impact of climate change, published in The Lancet Planetary Health. The authors call for states to “urgently curb climate change and minimise its unavoidable consequences, as emphasised by the Paris Agreement”. We don’t need to wait until 2100 to see the devastating effects of climate change – we’re experiencing it today, not in the faraway shores of America or South-East Asia, but right here in Europe. In June this year, 156 fires erupted across Portugal, claiming over 60 lives and injuring over 200 people. 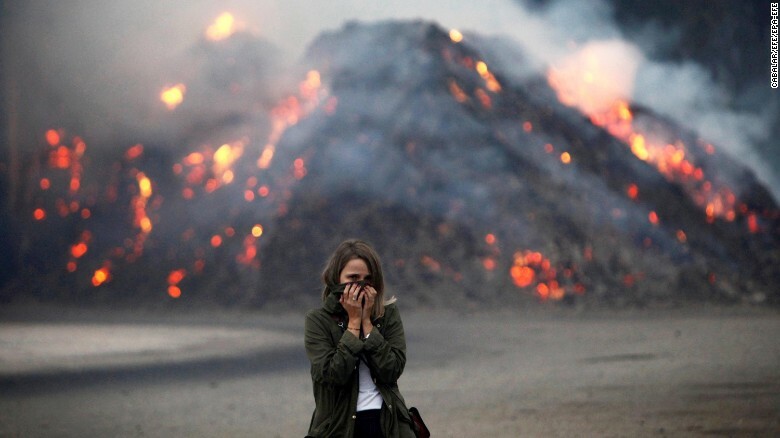 This was the largest loss of life due to wildfires in Portugal’s history. These fires have been linked to climate change and the unusually high temperatures over the summer. Closer to home, we have seen extreme weather conditions, storms and floods this year. We’ve set our children on a bleak path and are doing very little to mitigate this. However, where we have failed to take action, children are stepping up. In Portugal, kids are learning and talking about climate change. Mariana, five, thinks “adults should be more careful, they shouldn’t release smoke into the air.” She has joined a group of Portuguese children taking European states to the European Court of Human Rights in an innovative legal challenge against climate change. The UK, Portugal and 45 other members of the Council of Europe – an international human rights organisation distinct from the EU – are signed up to the European Convention of Human Rights. This treaty ensures our basic human rights are protected, such as the right to life and the right to private and family life. Convention rights have been enshrined in UK domestic law since Parliament passed the Human Rights Act 1998, and our government is bound to protect them even after Brexit. In addition to their work on climate change, Gearóid and the team at GLAN are also working on additional projects looking at corporate complicity in violations of human rights, challenging slave labour supply chains and continuing their work on the intersection of international criminal law and migrant detention. Please support their important work and get involved – we all have skills to contribute and this fight belongs to us all. Fatima Jichi is legal affairs editor at The Platform and is training to be a barrister. She is interested in human rights and criminal justice. Follow her @f_jichi.